Medical teams performing fluoroscopy-guided procedures are regularly exposed to high cumulative doses of harmful radiation. They wear heavy protection gear, which provides only partial protection, while taking its toll on their skeletal health. We develop a game-changing technology for radiation protection that provides better protection and unparalleled comfort. To provide a safe work environment and freedom from heavy protective apparel for medical teams, thus imroving their health and increasing their capacity and productivity. Medical teams in interventional suites are regularly exposed to hazardous X-ray radiation. With the growth in number and complexity of fluoroscopy-guided procedures, the exposure of medical teams to high cumulative doses of radiation is dangerously increasing. Studies show alarming effects of radiation exposure on physicians, including increased risk for brain tumors, cognitive damages, cataract and various types of cancer. The existing protective gear is heavy and causing orthopedic injuries, loss of working capacity, reduced efficiency, and does not provide full body protection. Therefore, a new approach is needed for radiation protection solutions. Our new technology is a paradigm shift that provides dramatically reduced radiation exposure and increased comfort, resulting in better health and increased performance. 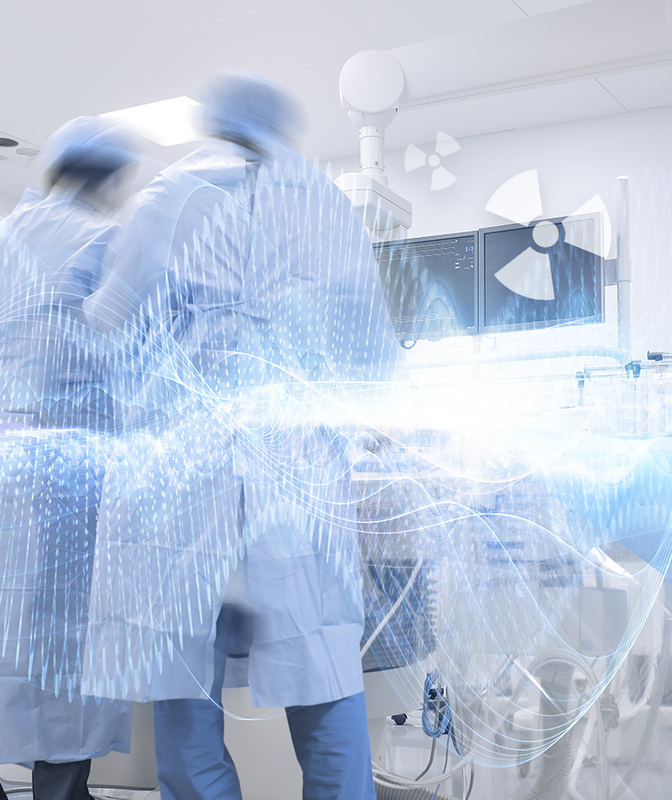 Radiaction’s innovative radiation shielding technology enables full body protection to all medical team members anywhere in the interventional suite. Protection levels provided by our technology are higher than current gold standard solutions, such as lead aprons and segmental shields. The unique concept shifts the shielding from the personnel to the fluoroscopy system itself and encapsulates the scattered radiation at its origin. To improve the health and efficiency of medical teams by dramatically reducing radiation exposure and burden of heavy protective apparel. We aspire for all medical teams in the interventional rooms to be free from wearing heavy and limiting protective apparel while being protected from hazardous radiation, relieving them from orthopedic injuries and life threatening illnesses. Recent tests show significant reduction in the amount of radiation that reaches the body of the medical team members around the room. The Radiaction system reduced the scattered radiation by over 97% for the entire team, in comparison to 93% with a standard lead apron, that does not cover the head, hands and legs. The tests showed the great value of our technology in providing better protection than current standard solutions to everyone, everywhere around the interventional suite. With over 12 years of experience in R&D management, Jonathan has a unique mix of hands on experience and strategic overview. Prior to Radiaction, Jonathan directed an R&D team in the Ballistic Missile Defense field at WALES Ltd, heading cutting edge studies for Departments of Defense of various countries. Jonathan received his BSc in Physics and Business Administration and MSc in Bio-Medical Engineering, all with honors, from Tel Aviv University. Mr. Yifat was a regular keynote speaker at professional conferences around the world and published several papers and patents both in missile defense, and medical technologies. As a serial entrepreneur, Dr. Belson was the founder and CEO of NeoGuide Systems that was acquired by Intuitive Surgical in 2009 and founder of Vascular Pathways that was acquired by C.R Bard Inc. in 2015. Belson is also the founder of various medical device companies, such as Emboline, Zipline Medical, Qool Therapeutics and Modular Surgical. 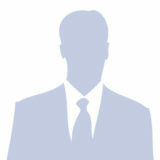 He is the author of over 30 medical papers and abstracts and has more than 500 issued and pending patents. Amir graduated from the school of medicine of the Technion, Israel Institute of Technology. He did his pediatric residency at Dana Children’s Hospital in Tel Aviv and his pediatric nephrology fellowship at Stanford. He also served several years as a flight surgeon in Israel’s air force rescue unit before moving to the US for a three-year Pediatric Nephrology fellowship at Stanford University Medical Center. Belson also spent one year as a research fellow with the Biomedical Technology Innovation Program at Stanford. Yossi has a BA in Humanities & received his MA in philosophy from the Tel Aviv university, Israel & his MBA in Finance from IDC Herzliya, Israel. Yossi is an innovative research and development leader with diverse experience in design & commercialization of medical device products. He is highly experienced with building & managing diverse R&D teams with specialty in novel medical robotic systems, surgical instruments and devices for assisted procedures in the spine & brain fields. In addition, Yossi oversaw regulatory processes with FDA, CE and CFDA, including clinical trials. Prior to Radiaction, Yossi was the head of R&D at Mazor Robotics Ltd and served as a Major in the Israeli air force in the technical field. Professor Chaim Lotan is currently serving as the head of the Heart Institute in Hadassah University Hospital in Jerusalem, Israel. Previously, Prof. Lotan founded the Israeli Workgroup for Interventional Cardiology and served as its Secretary General for 4 years, and was Director of Interventional Cardiology and Cardiovascular Catheterization at Hadassah Medical Center since 1996. Prof. Lotan is the chairman of the Ministry of Health Committee on Certification and Licensing of Coronary Stents in Israel and also the joint Chairman of the ICI Meeting, which is considered one of the world’s leading conferences in the cardiovascular innovation arena. Dr. Faermann got his B.Sc. in Electrical Engineering from the Federal University of Brazil and M.Sc. in Nuclear Engineering from the Technion, Israel. He completed his Ph.D. at the Ben-Gurion University – Department of Nuclear Engineering and the Soreq Nuclear Research Center. He was a research fellow in the Gershenson Medical Center, Detroit, the Curie Institute, Paris, and the Institute of Physics, University of Sao Paulo. Sergio is a qualified expert in the fields of medical radiation physics of the International Atomic Energy Agency and of the Israeli Ministry of Environment in Medical Radiation Risk Evaluation. Sergio served as the chairman of the Israel Society for Medical Physics and as the Chief Medical Physicist and Chief Radiation Protection Officer of the Soroka University Medical Center. Dr. Faermann is the author of more than 50 papers, abstracts and presentations in international conferences. Amichay is Co-founder and CEO of E-Motion Medical Ltd, a medical device company in the field of restorative digestive motor function therapy. With over 15 years of experience in management, Amichay assists young companies to move forward more effectively and efficiently and serves as an advisor for management, operations, technology and business strategy. Previously, Amichay founded and headed a line of airborne cooling systems at RAFAEL, and served as a Captain in the Israeli Air Force and as staff member at the Technion. Amichay holds a BSc and MSc in Aerospace Engineering from the Technion (IIT), and an MBA from the Herzliya Interdisciplinary Center (IDC). Sitemap | Website by Softangible Ltd.